Click here to contact us by email, phone, or mail. 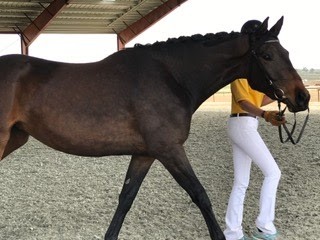 Warmblood Stallions of North America is a small company providing marketing services to stallion owners, breeders, and other sport horse businesses through a website (WarmbloodStallionsNA.com), an email newsletter, and a Facebook page. It is the primary DBA of Freestyle Publishing & Graphics, LLC, which also provides design services to clients under the name Freestyle Graphic Design. Freestyle Publishing & Graphics, LLC was formed in the state of Wisconsin and is owned and operated solely by Anna Goebel, with no employees. Freestyle Publishing & Graphics, LLC, dba Warmblood Stallions of North America, 4826 South Hill Drive, Madison, Wisconsin, 53705, USA will be referred to hereafter as "FPG" or "FPG/WSNA" or "we". Freestyle Publishing & Graphics, LLC, formerly known as A. G. Enterprises, has been publishing equestrian magazines since 1993, and has developed and maintained a database of subscribers, requesters, and others interested in sport horses primarily for mailing the magazines. 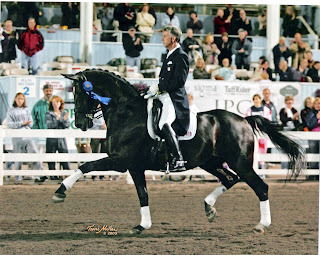 We have prided ourselves on maintaining a database of sport horse enthusiasts, and in recent years especially breeders, in North America that is as complete as possible. This was begun before the digital age, before the modern concerns about digitalized personal data. We no longer publish printed magazines, but our database still includes over 25 years of data. If you are concerned that you may be in our database for any reason, and wish to be removed, please contact us. The information we collect about members of the sport horse industry, especially breeders of sport horses, comes from personal data you have entered (recently or in connection with previous magazines we published), when you subscribed or used our services, and may also come from third party sources. Your account data and electronic identification data. The data you have entered in your user account (e.g. name, address, email, password), if you have made such an account with us, and your IP address. Your purchases. The data we collect if you purchase an advertising package, or design or other services, such as the amount and date of your purchase, the product or service you purchase, the mode of purchase, payment method, payment status, discount, expected completion date. Your details regarding contests. The data we collect if you participate in a contest. Your reviews. The opinions or experiences or product reviews that you share with us through personal communication including phone or email, or through social media, concerning our services. Your communication data. Your requests, any complaints you may have and any other data that we receive if we communicate with you via e-mail, online, phone, instant messages or via social media. Your stallion(s), farm, or business data. We collect the information necessary to provide you with the advertising services you have purchased, including Stallion Profiles, Stallion Stories, and news items. We also collect images, including stallion offspring images. Your survey participation. The information you voluntarily provide if you participate in a survey we publish. Our surveys include the option of anonymity. Registries. Many of the warmblood breed registries in the US and Canada have provided us with names and mailing addresses of their members in order for their members to recieve our printed magazine as a benefit of membership. Publicly available sources. FPG/WSNA has entered the relevant information and personal data from many public sources, including websites, Facebook pages, magazine advertisements, and others. FPG/WSNA collects and uses your personal data for the purposes set out below. In order to manage and handle your purchases and to provide you with the services you requested from us, including handling your requests, we use your contact details, your account and electronic identification data, and information regarding your purchases. We use your personal data as needed to create news releases and other promotional elements for you as described in our advertising packages. We will use your contact details to send you newsletters or marketing materials appropriate to your business. At any time, you may opt out of receiving such marketing materials by contacting us. For our Contact Us page click here. You can also control these preferences in your profile settings. Third-pary service providers. We engage third party service providers to provide services to FPG/WSNA, such as developing and maintaining the internal operations of our websites, including online purchasing (including payment processors); and printing and mailing services. We also engage third party service providers to provide services to others on our behalf, such as social media posting. In providing their services, they can access, receive, maintain or otherwise process personal data on our behalf. Our agreements with these service providers do not permit use of your information for their own (marketing) purposes. We take commercially reasonable steps to require third parties to only process your personal data in accordance with our instructions. Partners. Sometimes FPG/WSNA offers you a service or application in co-operation with partners. We may also disclose your personal data to those partners, but only where you have consented or requested that we do so. If you win a contest, we may disclose the names of winners online. We may also share your information with third party partners and co-sponsors, where relevant; in such cases, we will clearly notify you of the sharing, and you will have the choice not to participate or to otherwise object to such sharing. With Consent. We may also disclose information about you, including personal data to any other third parties, where you have consented or requested that we do so. Generally, we use this activity information to understand how our services are used, how well our advertising services perform, track bugs and errors, improve our services, verify account credentials, allow logins, track sessions, prevent fraud, and protect our services, to personalize content and for analytics purposes. When you interact with FPG/WSNA on social media forums like Facebook, Twitter, LinkedIn, etc., you should be familiar with and understand the tools provided by those sites that allow you to make choices about how you share the personal data in your social media profile(s). Also, depending on the choices you have made regarding your settings on various social media sites (and/or in combination with your settings on the FPG/WSNA pages), certain personal data may be shared with FPG/WSNA about your online activities and social media profiles (e.g. interests, marital status, gender, user name, photo, comments and content you have posted/shared etc.). Our online services are not directed to children under 13 years of age. If you believe we have collected information about a child under the age of 13, please contact us so that we may take appropriate steps to delete such information. If you are at least 13 but under 16 years of age, please get the consent of your parent or legal guardian before you give us any personal data about yourself. Your parent or guardian should contact FPG/WSNA. FPG/WSNA needs this information in order to verify that they have provided the necessary consent. We may follow up by phone or other means in some circumstances. If you are at least 13 but under 16 years of age, do not contact us or provide us with any personal data until after your parent or guardian has sent us an e-mail consenting to your contact and provision of such information. FPG/WSNA will take reasonable steps to ensure that your personal data are properly secured using appropriate technical, physical, and organizational measures, so that they are protected against unauthorised or unlawful use, alteration, unauthorised access or disclosure, accidental or wrongful destruction, and loss. FPG/WSNA will retain your personal data for as long as we remain in business, unless you request that it be removed. You can request that your personal data be deactivated or removed. We recommend a deactivation request, which allows us to add your request to your personal data so that your personal information is not reentered unknowingly at a later time. Right of access to personal data. You have access to most of your personal data through your user account. You may access any other personal data pertaining to you by contacting us. Right of rectification and erasure. You may correct most of your personal data through your user account. If you aware of misinformation in your personal data that is not accessible through your account, you may contact us and we will correct it. You may also request the deactivation or removal of your personal data entirely (see DATA RETENTION above). Right to object. You may contact us to request that we stop any specific processing of your data, and we will make all reasonable efforts to comply. You may revoke your consent for receiving marketing communications at any time, free of charge, by following the instructions in any marketing communication. You can also control these preferences in your user profile settings, if you have an account. FPG/WSNA will then stop sending you marketing communications. In case you wish to revoke your consent to FPG/WSNA to use your stallion, farm, or business data, you can contact us. Our website contains links to third-party websites; if you follow these links, you will exit our website. While these third-party websites are selected with care, FPG/WSNA cannot accept liability for the use of your personal data by these sites. For more information, please consult the privacy statement of the website you are visiting (if such a statement is provided). Cookies are small pieces of data that are stored by your browser at the request of a website. For more details, click here Our website uses browser cookies to track user sessions. This allows us to maintain the continuity of your user experience when you visit the site. You can disable cookes yourself using your browser's settings. You can also delete any cookies that your browser has already stored. The procedures for changing your settings and cookies differ from browser to browser. If necessary, use the help function on your browser. Please note that you will have to change your settings for each browser and device you use. Please be aware that if you disable cookies for our website, many features of our website will not be available to you, including the ability to log in to your account. If you have any questions about the cookies used on our website, please contact us.